The universe is constituted by matter and energy. 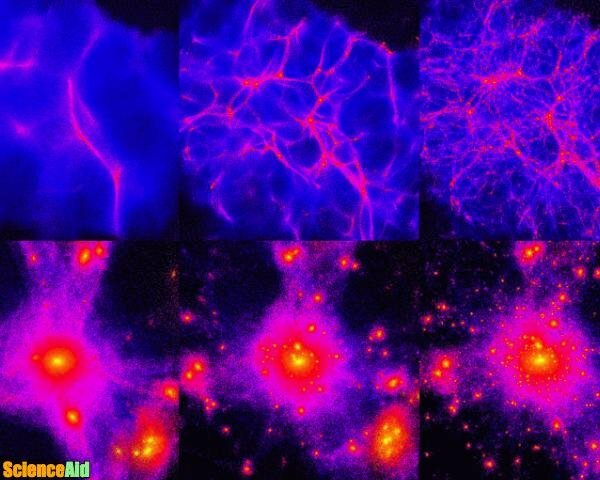 Visible matter is everything we can touch and see. However, in the last years, the scientific community has found that this is less than 20% of the entire mass of the universe. The rest of the mass seems to be made of two substances named dark matter and dark energy. Dark matter emanates and absorbs no light consequently; it is not visible. However, dark matter gravitational influence on the visible matter can be perceived. Galaxies are held together by dark matter, and this determines the location where galaxies meet in clusters and filaments. 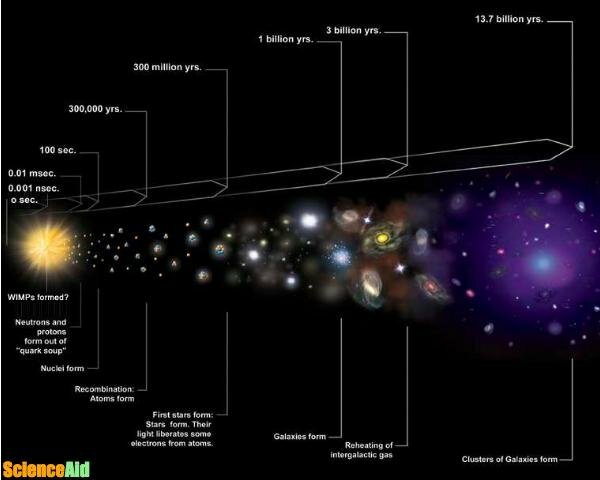 Recently, dark energy was identified and apparently it generates pressure that affects gravity and produces the expansion of the universe to go faster. Apparently, dark matter is 84.5% of the total mass in the universe, while dark energy plus dark matter represent 95.1% of total mass "energy content". The most extensively admitted hypothesis on the form for dark matter says that it is constituted by Weakly Interacting Massive Particles (WIMPs) that interact only across gravity and the weak force. There are currently different experiments to uncover dark matter particles through non-gravitational ways, but no dark matter particle has been decisively detected by these means. Driven by the lack of decisive detection of dark matter, a minority of astronomers claim for various changes in the standard laws of general relativity. They try to account for the observations without referring the additional matter. Astronomers started to examine the spectra of galaxies in the early 1900s. Thanks to that, they were able to define the speed of stars as a function of their distance from the galactic center. This is known as a galactic rotation curve. The majority of galaxies have a bright center which can be seen in normal light, but it reduces as you take distance from the center. This means that most of the stars are situated close to the center of a Galaxy. One would imagine stars distant from the center to travel much more slowly than stars near the center. That's what happens in our solar system; Earth orbits the Sun much more rapidly than Pluto. Max Wolf and Vesto Slipher did an experiment where they measured the rotation curve of the Andromeda Galaxy in 1914. Through their observations, they discovered that it was flat which meant that stars moved at the same speed despite their position from the galactic center. A hypothesis is that Andromeda is surrounded by dark matter so that its mass is not clustered in the center. By the 1950s radio observations of both the Andromeda Galaxy and our own Milky Way Galaxy exhibited similarly flat rotation curves. The results showed that the stars and the gas of any dark nebulae were orbiting the galaxies at parallel speeds. It can either be that galaxies held important dark matter, or that our comprehension of gravity was not right. In 1922, the first to propose the existence of dark matter was Jacobus Kapteyn. In 1932, Jan Oort also hypothesized the presence of it. 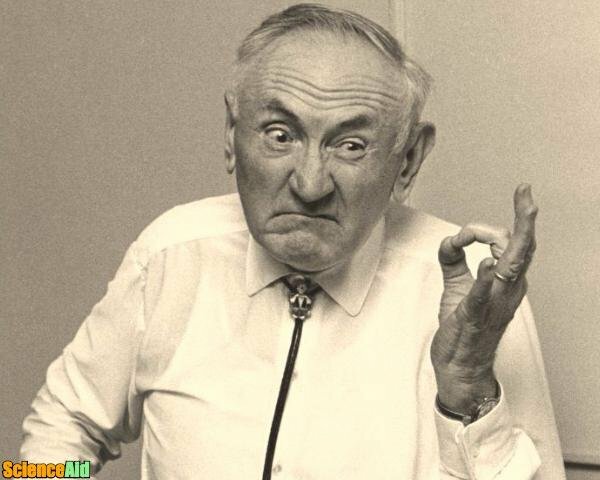 However, Fritz Zwicky made the first official inference about the presence of dark matter in 1933. The astrophysicist of the California Institute of Technology (Caltech), used the virial theorem to the Coma cluster of galaxies and made deductions about invisible mass. Zwicky estimated the cluster's total mass based on the movement of galaxies approaching its edge. After comparing this mass approximation to one that was based on the number of galaxies and total brightness of the cluster, he discovered that there was about 400 times more mass than anticipated. Something extra was required because the gravity of the visible galaxies in the cluster would be far too small for such fast orbits. This is known as the "missing mass problem". He suggested that there must be some non-visible form of matter which would offer enough of the mass and gravity to keep the cluster together. As the support for dark matter theory increased, astronomers realized that there was a challenging issue. If our gravitational theories were right, dark matter must be far more abundant than luminous matter both in galaxies and among galactic clusters. Assuming this dark matter consisted of things like dark nebulae, their existence should be measurable by the light they absorb. If there is so much dark matter, it must not only be obscure, but it must not absorb light either; it couldn't just be a regular matter that is cold and dark. It was due to this assumption that many astronomers examined the legitimacy of Newtonian gravity. By the 1980s several alternative gravitational models appeared. These models worked well for dwarf galaxies, but they did pretty badly with things like galactic clusters. Dark matter models had their complications, but they corresponded more readily with observations. In general, scientists know more about what dark matter is not rather than what it is. However, they do have a few thoughts about what it could be. Scientists have found other methods to explore dark matter because they can't see it directly, like looking at a shadow and making a reasonable guess about what's producing the shadow. Astronomers use indirect ways to study dark matter, by instance, gravitational lensing is a way scientists use indirectly to learn about it. A gravitational lens is described as a distribution of matter between a distant light source and an observer that is able of bending the light from the source as the light goes towards the observer. This effect is known as gravitational lensing. By measuring the alteration geometry, the mass of the intervening cluster can be calculated. In the cases where this process has been completed, the mass-to-light ratios obtained, correspond to the dynamical dark matter measurements of clusters. After Zwicky's early interpretations, no other supporting studies suggested that the mass to light ratio was anything other than unity. Then, 40 years later, Vera Rubin and Kent Ford at the Department of Terrestrial Magnetism at the Carnegie Institution of Washington presented discoveries based on a new sensitive spectrograph. It could measure the velocity curve of edge-on spiral galaxies better than it had ever been achieved before. They said that most stars in spiral galaxies orbit at about the same speed, which showed that their mass densities were similar. This result proposes that either Newtonian gravity is not universal or that, conservatively, upwards of 50 percent of the mass of galaxies was delimited in the relatively dark matter. Rubin insisted skeptically that the observations were accurate. Little by little other astronomers started to support her work and until it became common to say that most galaxies were influenced by dark matter. Some exceptions were the galaxies with mass-to-light ratios near to that of stars. In time, many observations have been registered that do point out the presence of dark matter in various parts of the cosmos. Observational evidence for dark matter has been gathered over the decades to the point that today most astrophysicists accept its existence. As a result, dark matter is one of the leading aspects considered in the investigation of structures of galactic scale and larger. Cold: much smaller than a protogalaxy. Finally, data from the Large Hadron Collider (the world's largest and most powerful particle accelerator located underneath the France-Switzerland border) is being examined in search of missing energy like a mark of new weakly interacting particles that may be linked to dark matter. We could say that all the methods to study dark matter, such as direct detection in dedicated laboratory experiments, indirect detection in the cosmic radiation, and searches at particle accelerators will sooner or later find more answers about the place where our world exists, the Universe. MLA (Modern Language Association) "Evidence for Dark Matter." 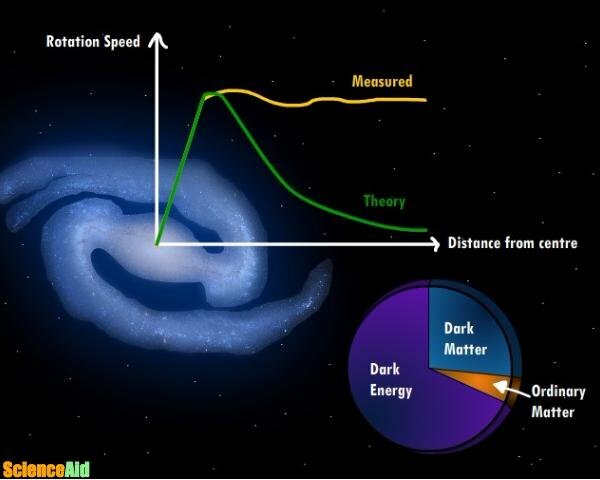 ScienceAid, scienceaid.net/Evidence_for_Dark_Matter Accessed 25 Apr 2019. Chicago / Turabian ScienceAid.net. "Evidence for Dark Matter." Accessed Apr 25, 2019. https://scienceaid.net/Evidence_for_Dark_Matter.